Nawalgarh falls in the Shekhawati region of Rajasthan. The region draws its fame from the exquisitely painted havelis, which has earned it the status of Open Air Gallery. As a part of the same region Nawalgarh too has its share of murals and frescoes on havelis, which form the tourist attractions in Nawalgarh. Nawalgarh is a small locality centring round a fort. 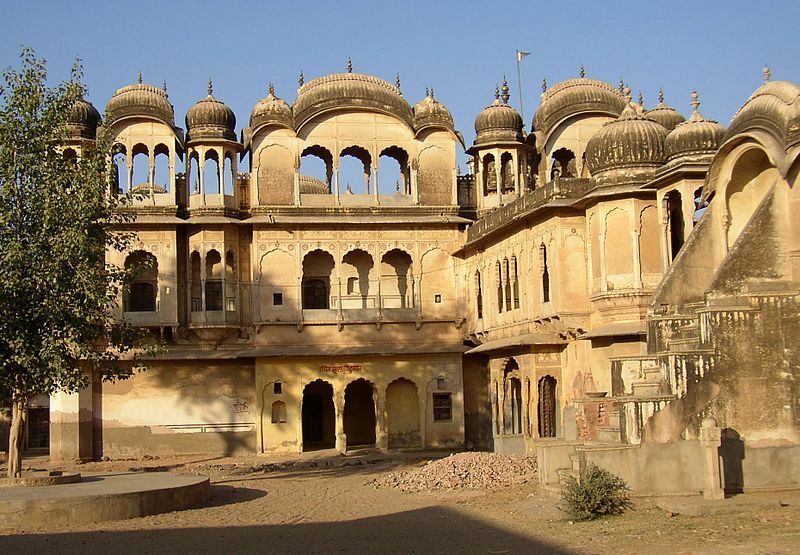 Rajput chieftain Nawal Singh founded the Nawalgarh Fort in 18th Century. The sprawling fort houses a number of havelis with beautiful architecture and some of the finest frescoes in the region. In the outskirt of the region, there is a palace - Roop Niwas Palace, the erstwhile residence of the Thakurs. 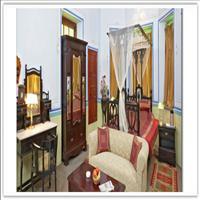 The palace now converted to a heritage hotel is itself a tourist attraction in Nawalgarh. At the west of the fort, there is a cluster of havelis, which are known as Aath Havelis ("aath" implying eight in number). The frescoes and murals here display a transition period in the traditional painting with the European influence. Many of the paintings here have been disfigured by modernity though. Conservation processes are still on to retain these invaluable treasures of a rich heritage. Some notable havelis like Muraraka Haveli, Hem Raj Kulwal Haveli, Morarka Haveli are some of the major tourist attractions in Nawalgarh. Nawalgarh is 30 km from Sikar and 39 km from Jhunjhunu. 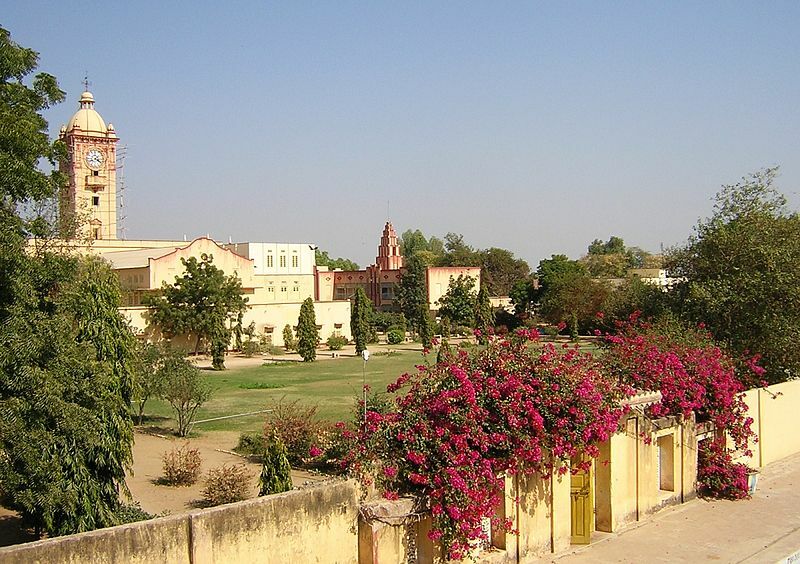 Nawalgarh is famous for its fresco and havelis and considered as Golden City of Rajasthan. Nawalgarh is located at 27.85°N 75.27°E. It has an average elevation of 379 metres (1243 feet). Nestled in the foot hills of the Aravalli Mountain Range, a Tour to Rajasthan is considered to be a definite must include if you are planning a tour itinerary to India. The land of the Rajputs, the entirety of the province of Rajasthan is resplendent in its rich and varied culture, a culture that has been influenced to a large extent by the varied topography of Rajasthan which has also influenced the Climate of Rajasthan. Influencing several theories on the Best Time to Visit Rajasthan, the climate of Rajasthan can be divided into four basic sub divisions which are: -Summers -Monsoon -Post-Monsoons -Winters Summers which are hot and dry is considered to be the hottest period in Rajasthan with the temperature rising to almost as high as 45 degrees Celsius at its highest. The hill station of Mount Abu, the only hill station of Rajasthan, however, remains a blessed exception in this mercurial madness with temperatures at this important tourist destination of Rajasthan hovering around comfortable lows. The period between the months of July to September sees the mercury dropping to a more moderate temperature, with a comparatively higher level of humidity which is to set the stage for the next season or the monsoons, when the tourist attraction of Rajasthan reaches an all time high. The monsoons make this already beautiful province prettier than ever by adding their cool moisture to the hot, golden sands of the Thar Desert, which adds an even greater incentive in planning a trip to Rajasthan during this period. Perhaps, one of the most pleasant times to visit Rajasthan, the winters in Rajasthan stretch between the months of December to March. January is seen to be the coolest month of the year, which often sees a temperature drop that is as drastic as 0 degrees Celsius.